Private / Group Insurance Coverage: We accept most major insurance policies including Blue Cross Blue Shield of Michigan, Medicare, Aetna, Priority Health and others. Please call our office to verify your benefits prior to making an appointment to ensure we participate with your provider. Auto Insurance: If you have been involved in an auto accident, TBT&SM works with most auto insurance providers. Please let us know if you have been involved in a motor vehicle accident. 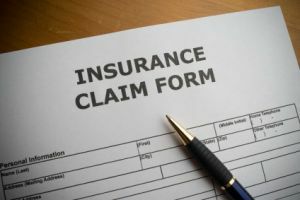 Working with auto insurance providers does pose some challenges as some require preauthorization or contact from us prior to seeing you for your first visit. Let us know so we can verify your coverage and any special conditions imposed by your provider prior to your first visit. Workman's Comp: Please let us know if we are seeing you for a problem related to a work incident or accident. Thunder Bay Therapy routinely works with most workman's comp. insurance providers. If you have a work injury claim, we will contact your provider or case manager to make sure we are doing everything to ensure your claim with the provider will be honored. Self Pay: Thunder Bay Therapy is committed to providing the very best treatment to the uninsured, underinsured or those who want to seek care outside of their exiting policy. Private pay options are available. Please call to inquire.